Seems like it's always easier to make a mess than it is to clean it up. And while there are plenty of items out there to prevent the former--bibs, sippy cups, condoms--and help with the latter--vacuums, washing machines, Harvey Keitel--EZSTAX is a rare jewel that does both. 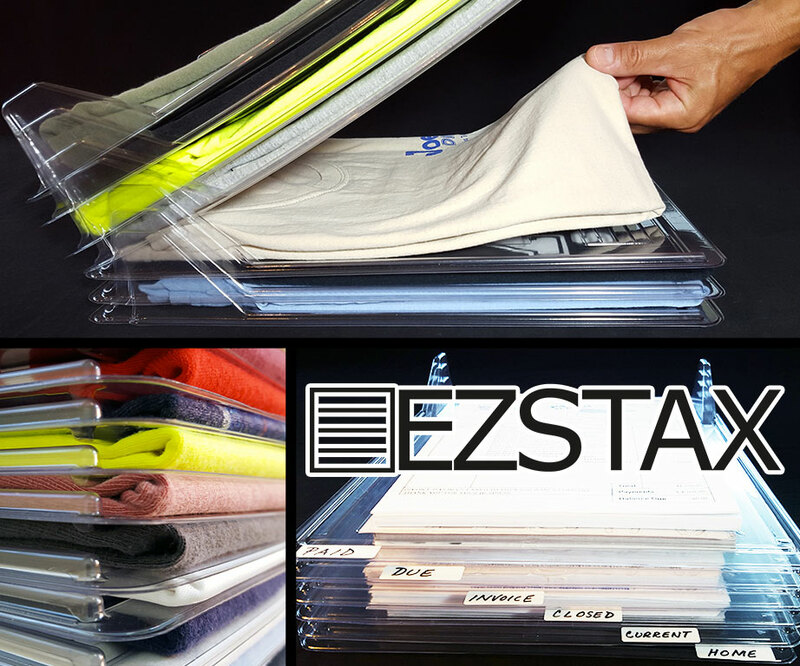 An organizer comprised of stackable interlocking dividers, EZSTAX keeps clothes and documents stored, tidied, and separated without consuming extra space, and without disturbing items above and below when you need to remove something from a divider in the middle. Entropy is the gradual decline into disorder. Example: On Sunday you MiracleFold 8 shirts and stack them neatly in a drawer or closet. But over the course of the following week you don't wear them top to bottom, but rather grab #5 on Monday, and then #3 on Tuesday, and #7 on Wednesday. So by Thursday the nice stack of crisply-folded shirts looks almost as chaotic as the pile you pulled out of the dryer 4 days before. 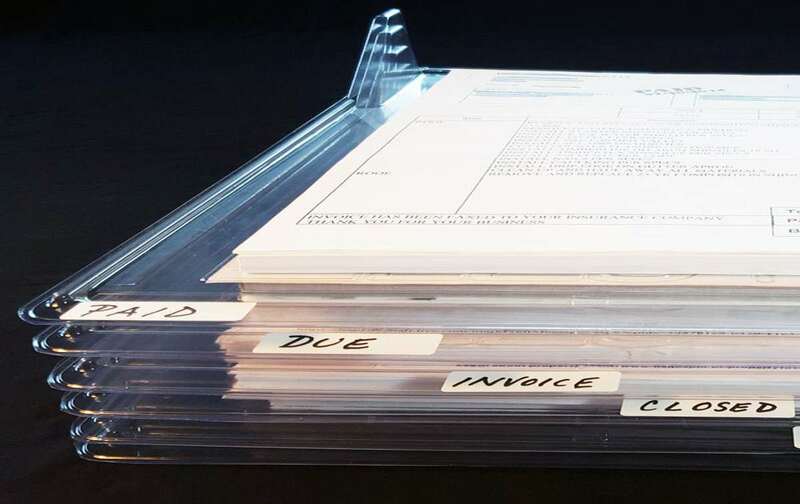 According to EZSTAX, a pack of their dividers will ensure this sort of unraveling into wardrobe entropy will never happen again. 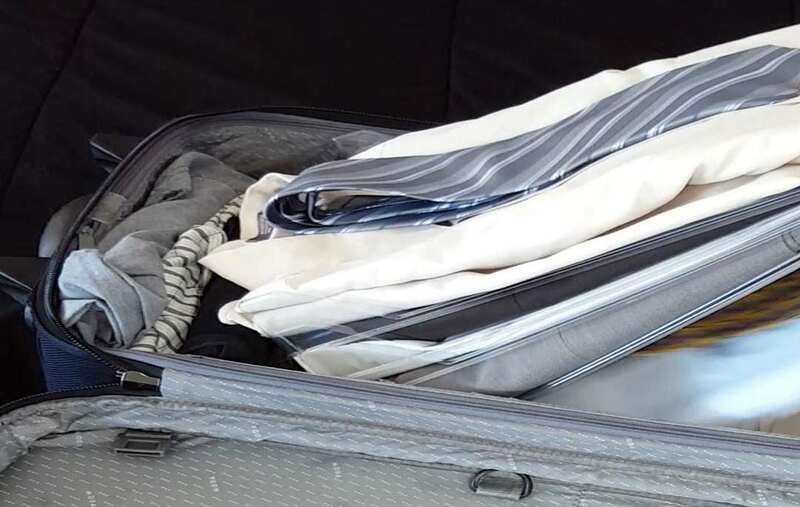 The dividers lock together at the back, but don't stick to clothes or papers themselves, so you'll be able to lift up the sections above the item you want, pull it out, and lower them back together without disturbing any of the items in between.